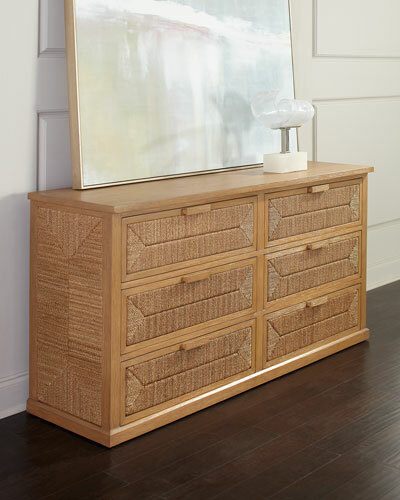 Entertainment chest handcrafted of radiatta pine solids and pine veneers. 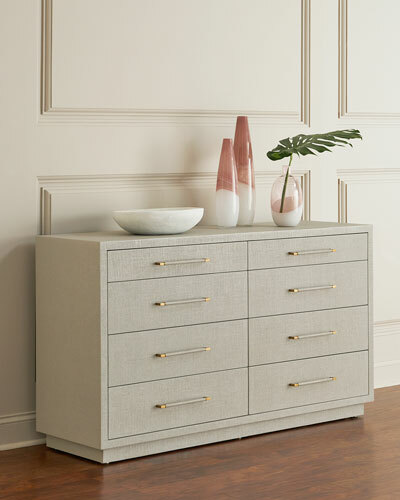 "Linen" finish.Four drawers and two fixed shelves.Dovetailed joinery and tongue-and-groove construction.Cut-out in back panel accommodates power cords.44.5"W x 20"D x 42"T. Imported.Boxed weight, approximately 132 lbs. 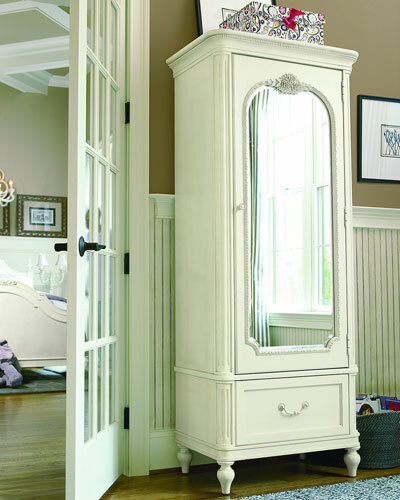 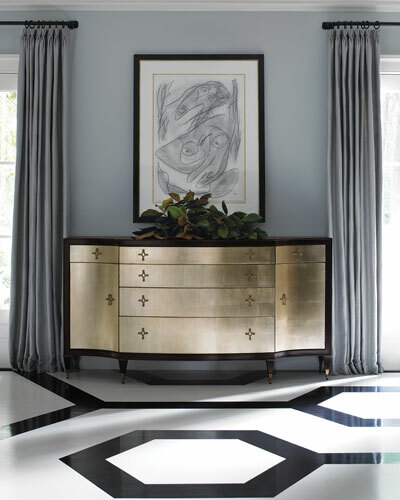 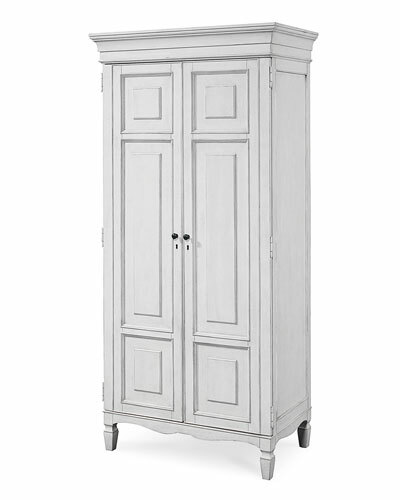 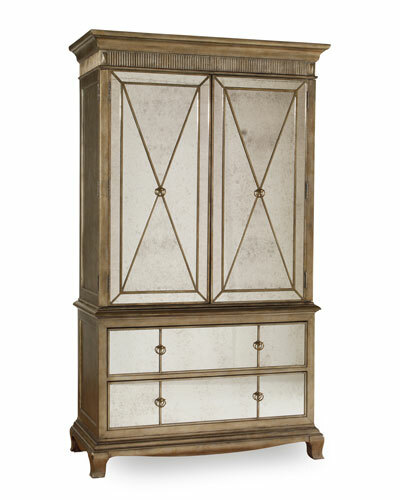 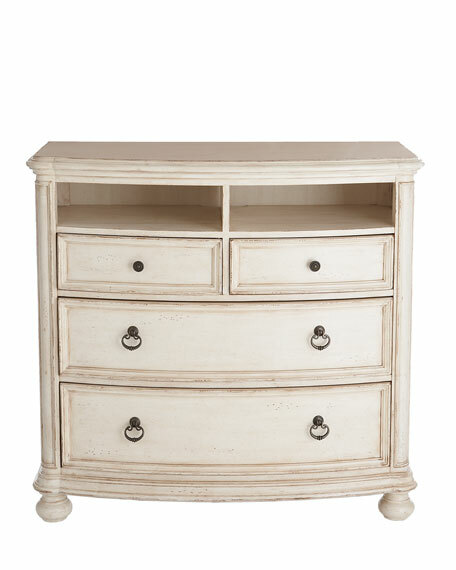 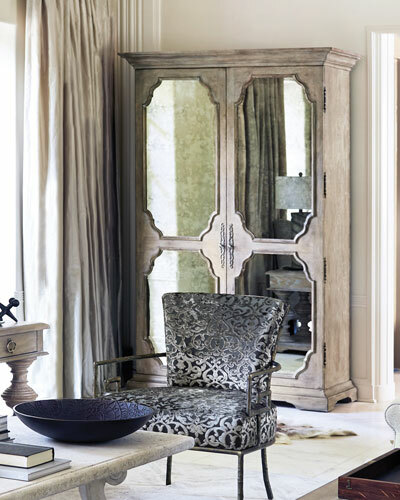 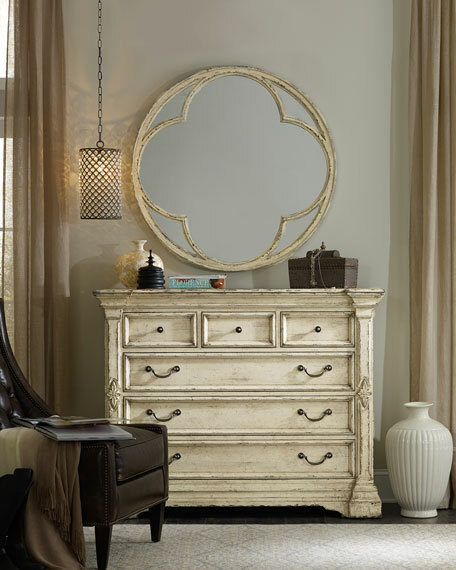 Serene and elegant, this striking silhouette will enhance any bedroom décor. 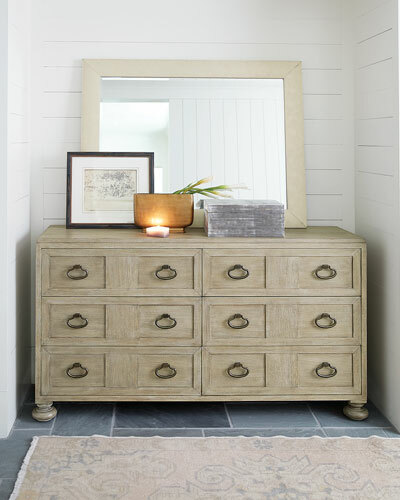 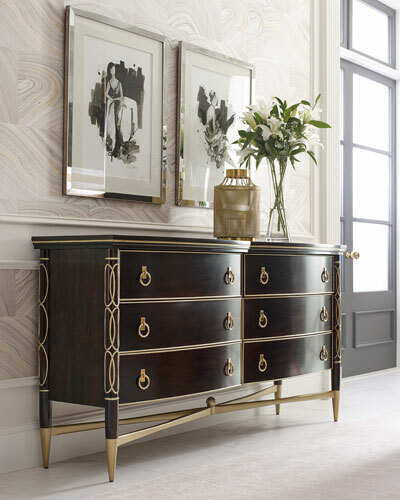 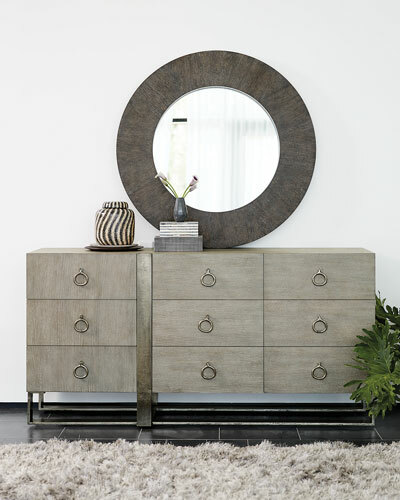 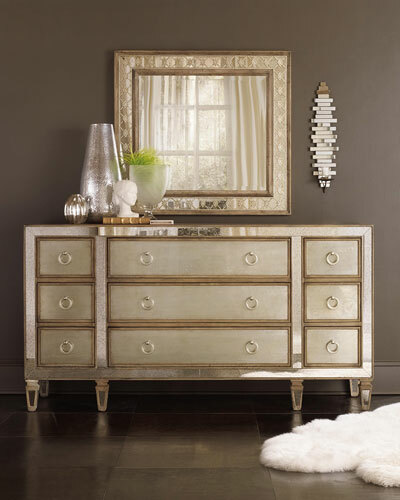 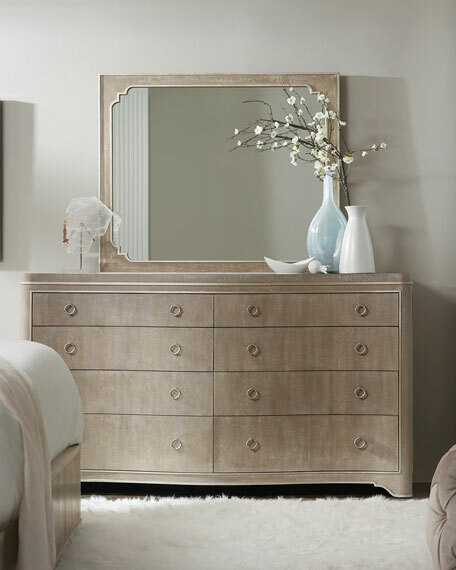 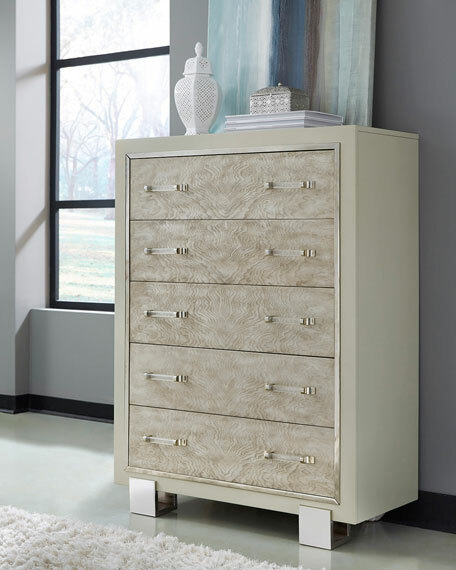 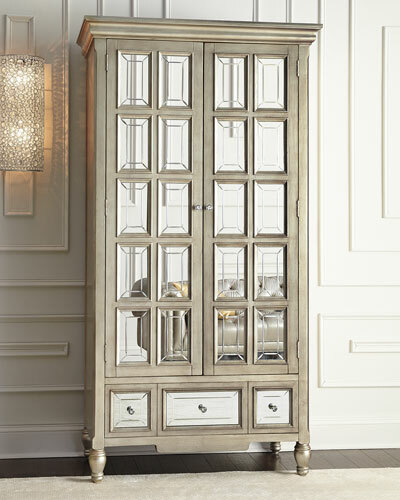 Subtle graceful curves are covered in a soft, taupe grey wood tone finish with champagne accents and pewter drawer pulls.